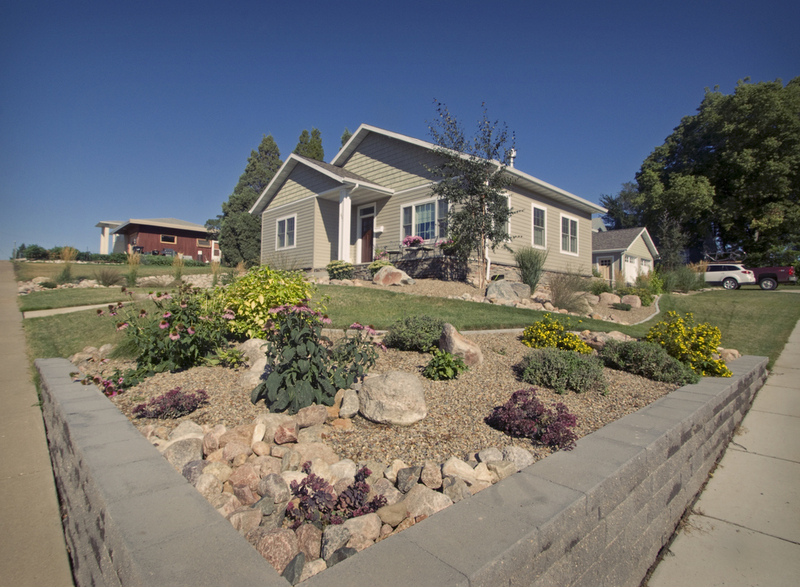 Rock beds with concrete edging and plantings along the side of a house. 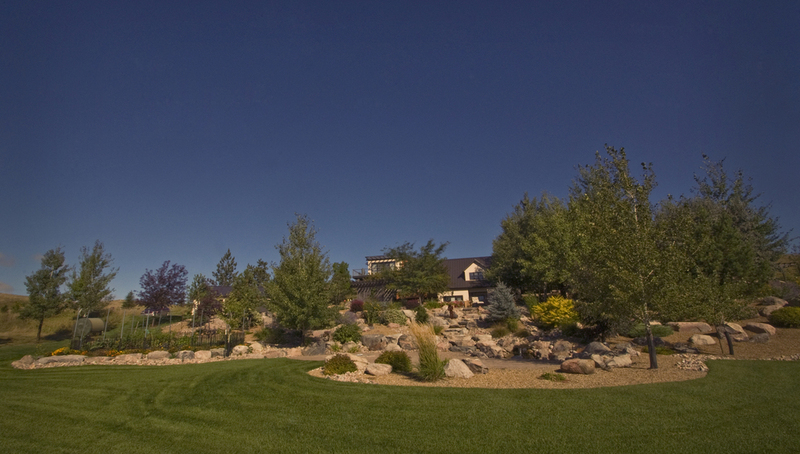 Large rock beds with plantings throughout a backyard. 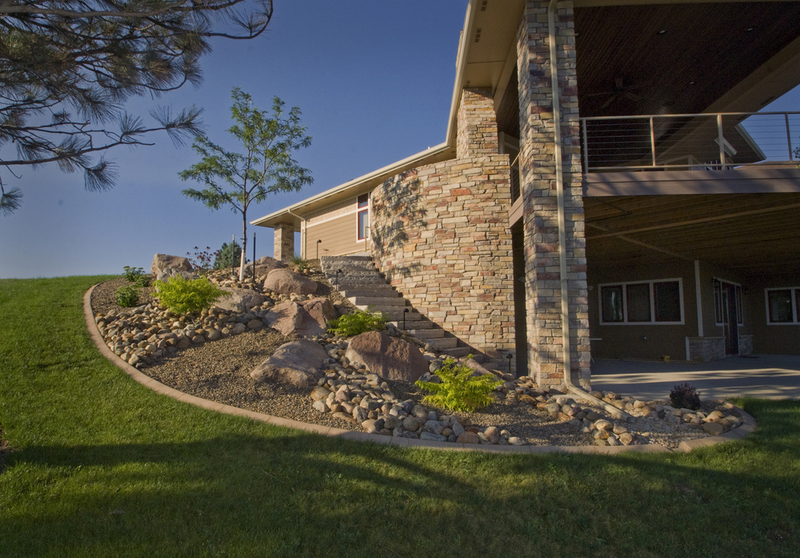 In the center boulder steps cut a path down to a paver patio. Retaining walls create a terracing effect in this backyard, while steps and a paver path lead guests down to a paver patio. A small retaining wall creates tow levels in this Island rock bed with concrete edging. Background: front yard landscaped with rock beds and plantings. 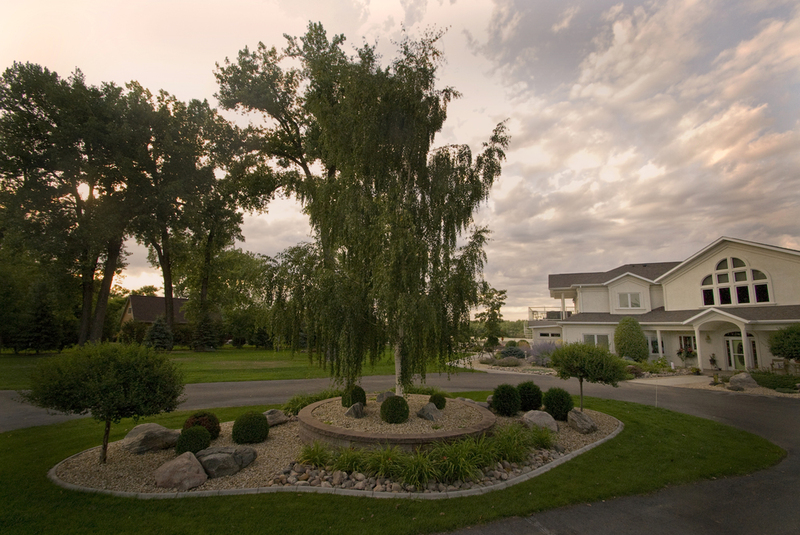 Rock beds with mature trees make a big impact in a new neighborhood. 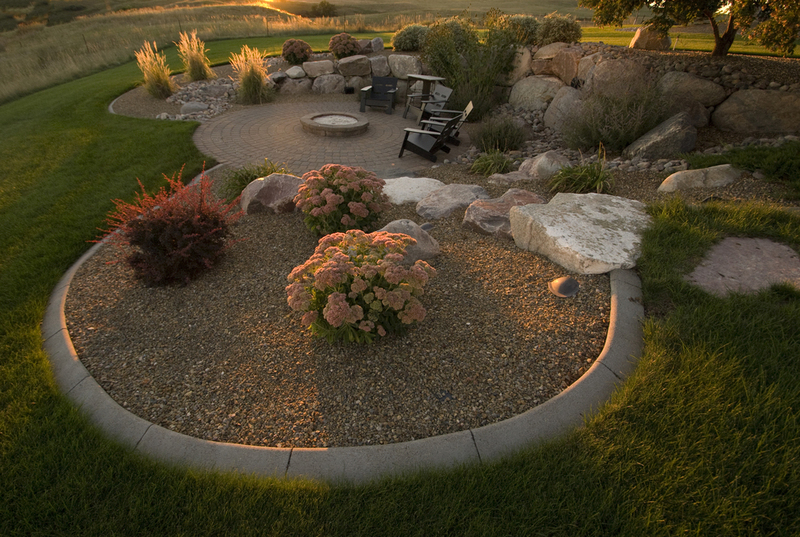 Rock beds with concrete edging give a unique shape to a backyard. Close up of plantings in a rock bed. 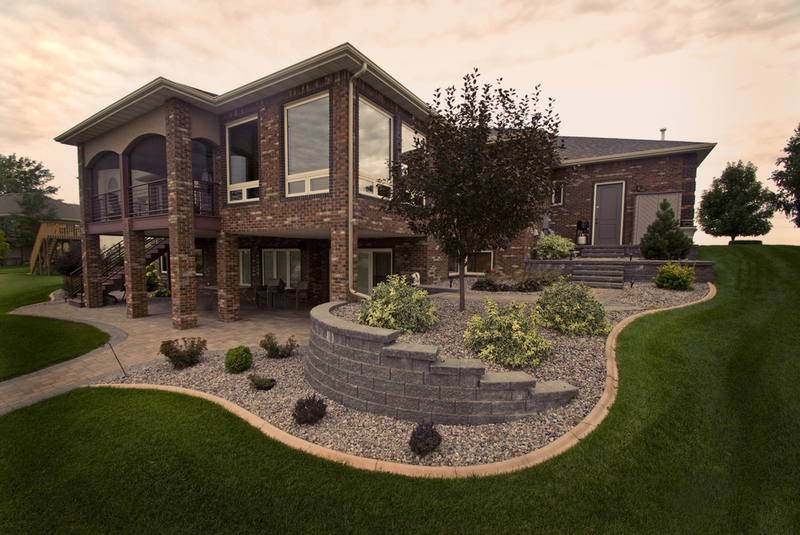 A large rock bed with concrete edging surrounds a house and provides drainage underneath decks. A retaining wall terraces the backyard, while the path and steps lead guests to the lower level. 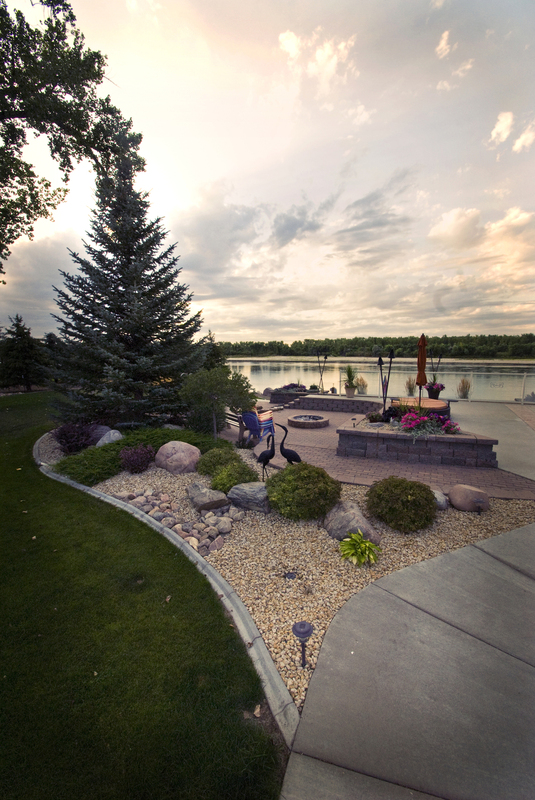 A patio and firepit are surrounded by rock beds with trees, shrubs, and perennials. 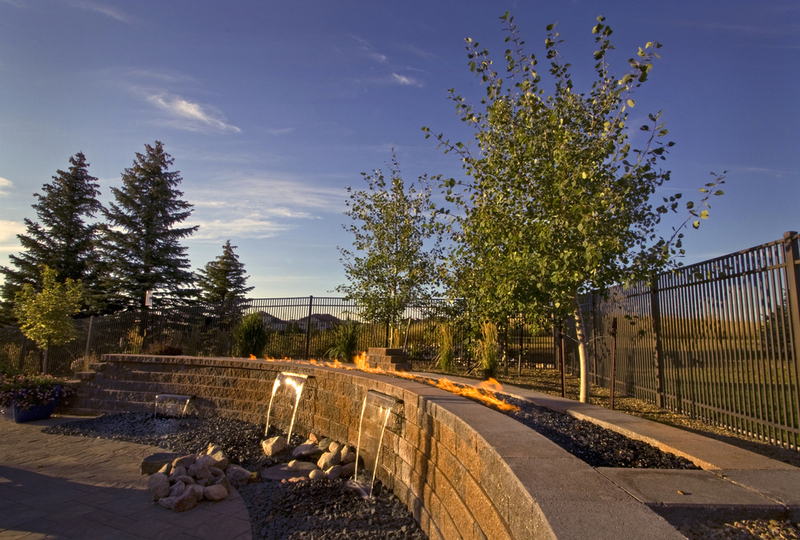 A unique water feature combined with a fire feature create a beautiful space in a backyard. Rock beds with plantings surround the house. 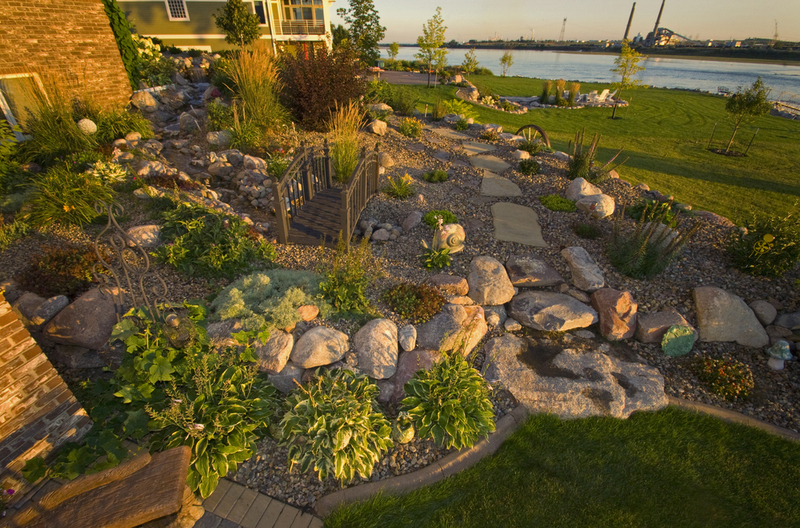 A patio and firepit overlook the Missouri river while retaining walls create levels and a raised planting area. Rocked beds with additional plantings add dimension to the patio. 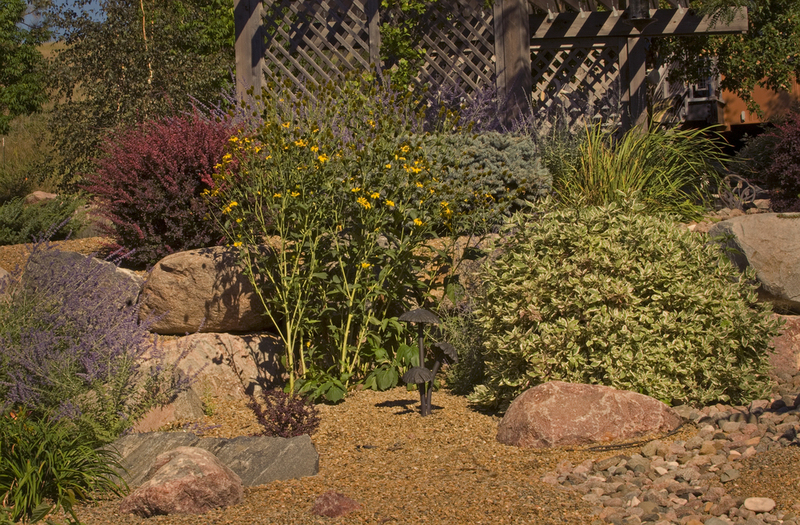 A retaining wall creates more space in this yard, as the corner rock bed adds color. A close up of plantings in a simple rock bed. 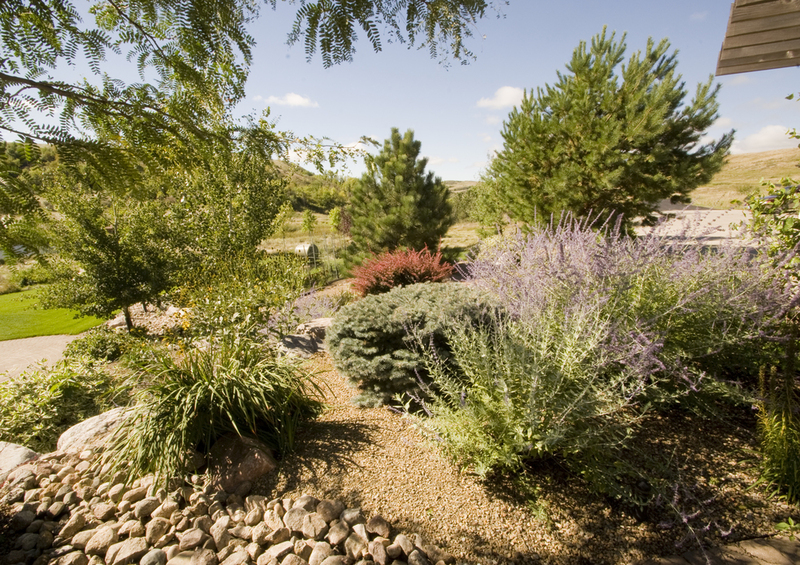 A simple rock bed blends a landscaped backyard with the natural scenery. A retaining wall terraces a backyard, as stairs lead guests down to a paver patio and fire pit. Rock beds frame the patio area. A rock bed wraps around the side of a home. 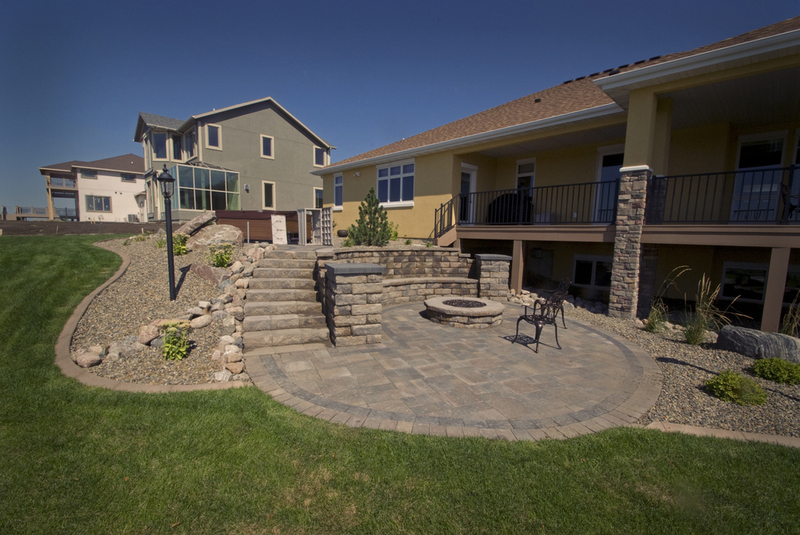 Rock beds surround patios and a fire pit to fill a smaller backyard. A water feature runs under a quaint bridge in this rock bed. A close up of a water feature. 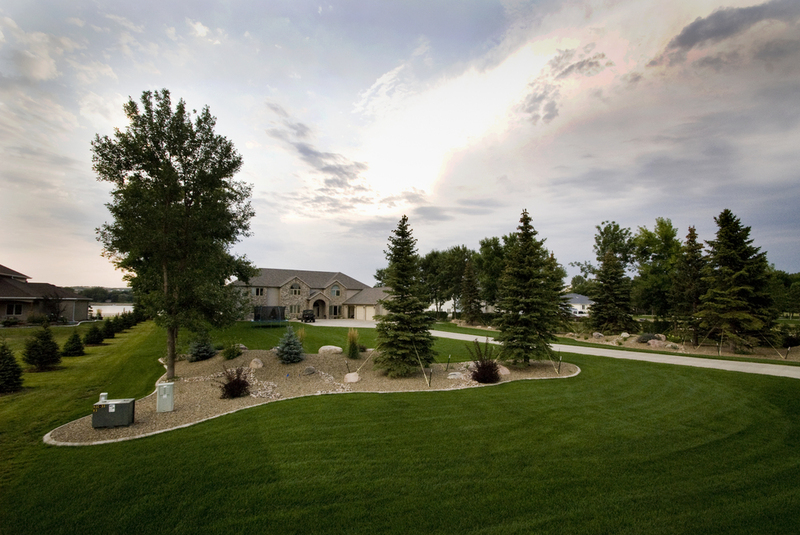 Prairie View Landscaping has completed over 900 residential projects in the area. Contact us today, and we can create and implement a design for you based on your preferences and needs. Have you had Landscaping done in the last 5 years? Thank you! Our design team will be in contact with you shortly.